I’ve been writing for awhile about fire truck books, so I figured it was time to introduce the reader to the Adventures of Mac The Fire Truck series. Mac The Fire Truck is a talking fire truck, with eyes behind his windshield and a powerful water cannon on his top. He lives in an unnamed small city surrounded by farm land. His best friend and fire helper is Pudgy, the brown fire dog. Both of these characters were created “out of thin air” as my wife and I were looking for fire truck books for our son. We actually found plenty of fire truck books, but none had what we were looking for. We found plenty of good quality, interactive fire truck books, but no characters that would seize our child’s imagination. I actually looked for a book that was similar to what I was envisioning, but I found none. 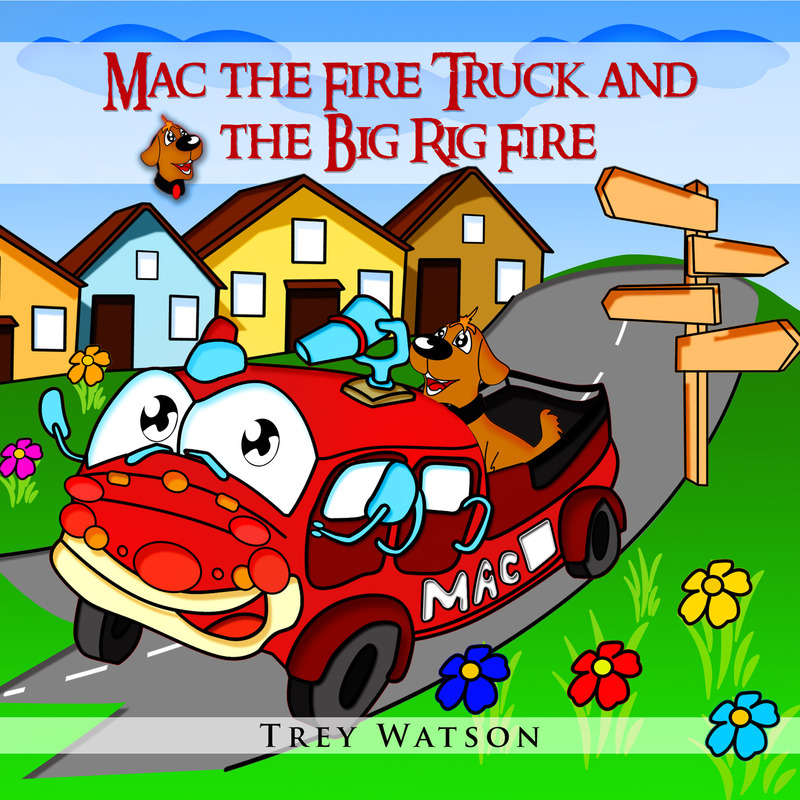 For that reason, I decided to create and publish the Mac The Fire Truck books myself. That’s all to say that the Adventures of Mac The Fire Truck series is made just for fun; fun for kids and adults to read together. The pictures are a labor of love that, even if you don’t like the story (but who wouldn’t? ), will sure brighten a child’s day. I also wanted fire truck books that broaden a child’s vocabulary, and these books do that. They do have fun rhyming texts, but with words that will make children think and learn new words. Fire truck books are great fun, and now the books in the Adventures of Mac The Fire Truck series are an exciting addition to that genre!